If you've been looking for an optometrist in Northport NY who can help you manage your eye condition, Main Street Optometry is your place to be! Dr. Richard E. Young and Dr. Arlene L. Vazquez Young have remarkable training in the diagnosis and treatment of many common vision and eye problems. Refractive errors can occur due to genes, environment, and advancing age. The eyeball may be too long or short, or the cornea and/or lens are misshaped, leading to the poor focusing of light inside the eye. This "sneak thief of sight" leads to gradual vision loss due to optic nerve damage. The condition is frequently associated with an increase in inner eye pressure. A common childhood vision problem in which the eye doesn't work well due to underdevelopment of the eye/brain neurological connection. Infection of the conjunctiva (a membranous layer on the outer eye and inner eyelid) causing redness, itchiness, and other symptoms. Conjunctivitis is usually caused by bacteria or viruses and can be extremely contagious. A syndrome causing uncomfortable symptoms (including dry, itchy, "gritty," red, and watery eyes) due to poor quality and/or insufficient tears. Temporary eye strain caused by excessive use of digital devices. Symptoms include headaches, neck pain, eye fatigue, and dry eyes. Blurry vision generally developing in the late teens and 20's due to a progressive "conical" abnormality in the cornea. Blurry vision caused by increasing cloudiness of the lens. If your body recognizes an environmental substance as a threat, it launches an immune attack against the substance. If this happens in the eye, uncomfortable symptoms can occur including redness, watering, and itchiness. Common eye allergy triggers include pet dander, smoke, pollen, dust, cosmetics, and medications. Age-related deterioration of the macula—the center of your retina responsible for seeing fine detail. Vision loss caused by damage to the small blood vessels in the retinas; the damage occurs because of chronically elevated blood sugar, a hallmark issue in diabetes. 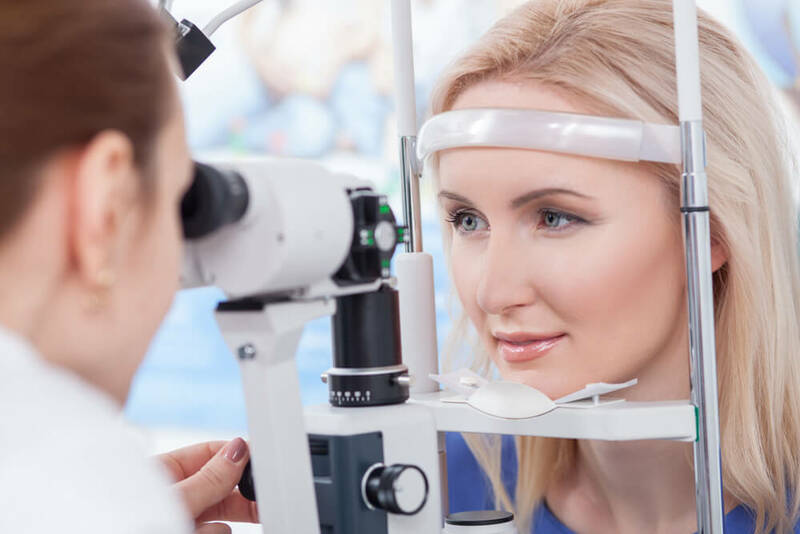 Comprehensive eye exams allow us to ensure your eyes are healthy, promote early detection and treatment, and monitor disease progression to maximize vision and quality of life. To schedule your eye exam, contact Main Street Optometry at (631) 757-6190.